​Every Twenty-One Days: Cancer, Yoga and Me is Johnson's personal story about being deagnosed with cancer in December 2012. The title is a reference to her chemotherapy treatments, self-healing practices and remembrances of family and friends who dies from this disease. ​It's an intimate, funny, and uplifting story about the journey from diagnosis to treatment to physical well-being. Johnson is an Afro Solo Alumna as a visual artist and lighting designer. 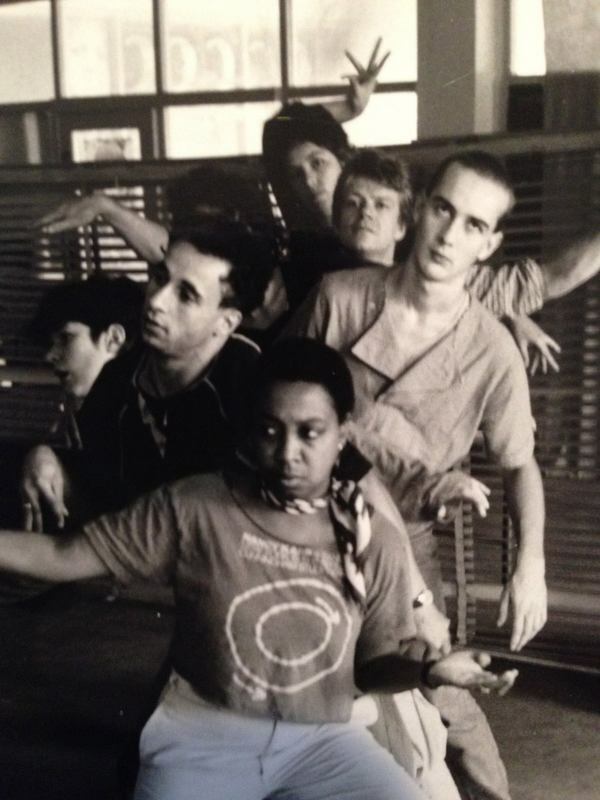 With more than forty years of experience behind the scenes, this show represents Johnson's first venture into play-writing and solo performance. ​— Y’Anad Burrell, And go! By Y’Anad - Afro Solo. 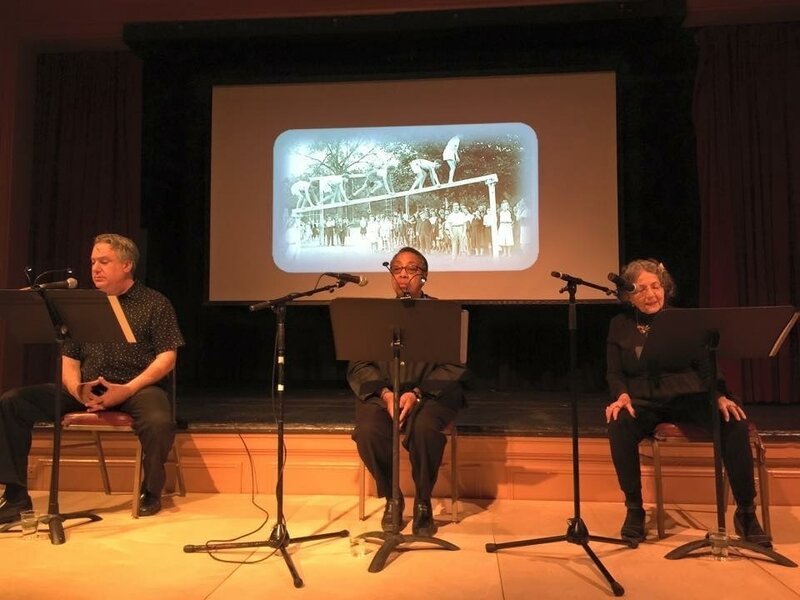 Susan Felix, Bruce Bierman, and Stephanie Anne Johnson performed this play in progress as a staged reading at The Berkeley Holocaust Memorial Remembrance Day, The Jewish Community Center of the East Bay (Berkeley), and The Kehilla Community Synagogue (Oakland). 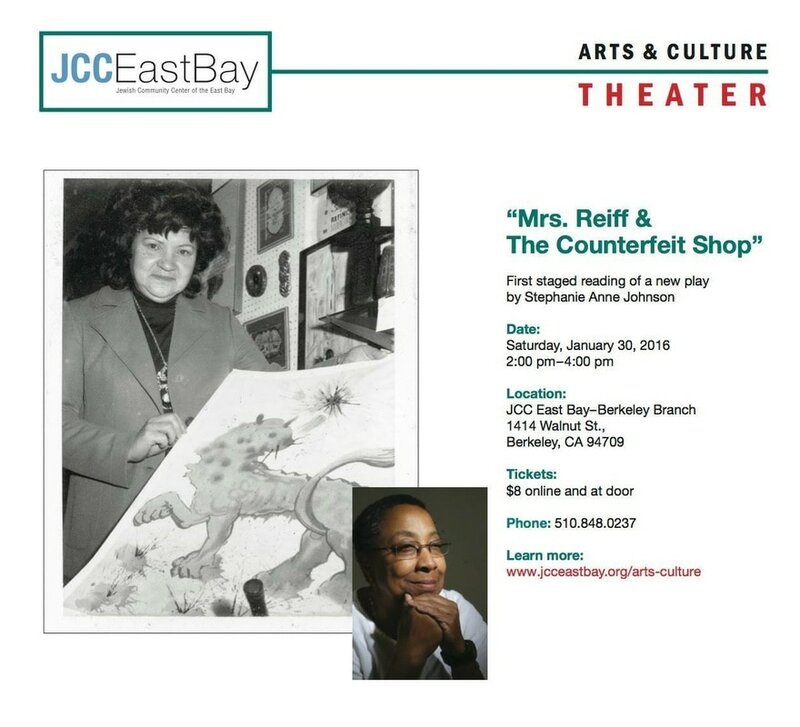 "Mrs. Reiff & the Counterfeit Shop" is an autobiographical play that celebrates a cross cultural, intergenerational, and loving friendship between a Black teen and a European Holocaust survivor. ​Special thanks to Adilah Barnes and the Writer’s Well for providing the support, time, and environment necessary for writing this play. Gratitude to Susan Felix and Bruce Bierman, two talented artist readers. And Love to Andy Reiff with whom I shared memories of Mrs. Bola Reiff, his beloved mother and my life long friend. 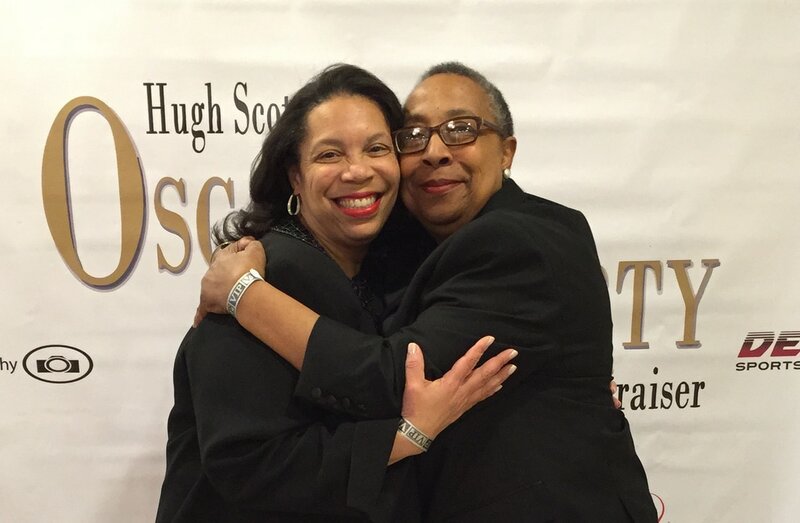 Dr. Hugh E. Scott, businessman and philanthropist, has held the Annual Oscar Party and Cancer Fundraiser event for the past twelve years successfully collecting clothing and raising funds for vulnerable community members in the Atlanta area. In 2016 Stephanie Anne Johnson joined the Board of Directors for his non-profit organization. 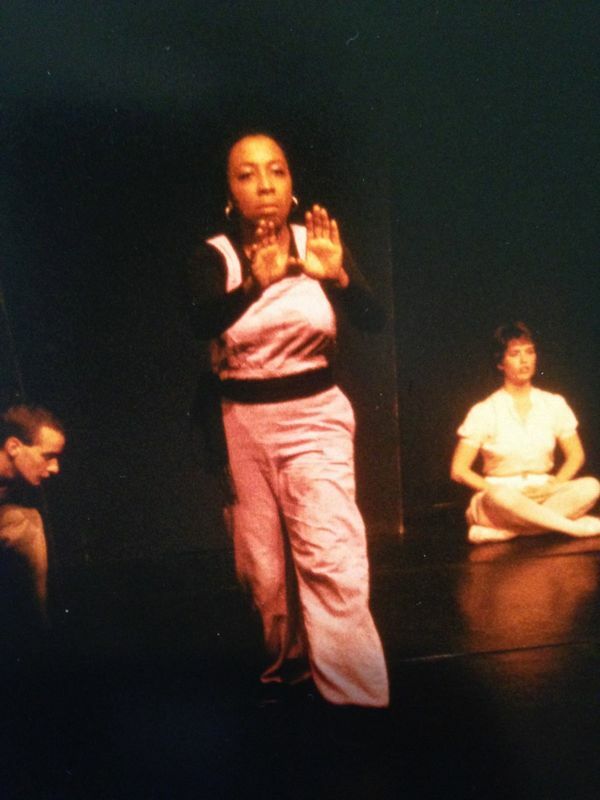 She performed an excerpt from Every Twenty-One Days: Cancer, Yoga, and Me in 2016. 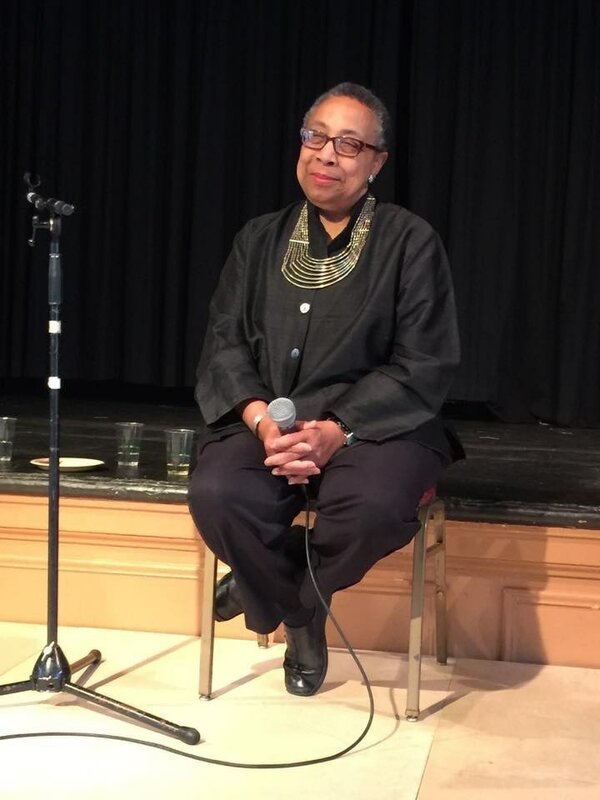 In 2017 Dr. Stephanie Anne Johnson and Reverend Valerie Johnson wrote and performed A Sisters’ Story for the annual cancer fundraiser. This poignant narrative explores childhood remembrances and the journey to cancer recovery they shared.